Wizard Howl is a mysterious, reclusive wizard. He is twenty-seven years old and known for being very flamboyant and wicked. His notorious moving castle has recently been spotted near Market Chipping and rumours have begun to spread that he is searching for beautiful young women whose hearts he may steal. He comes from Wales, a country unknown to most in the book, where his family still remain unaware of his activities in Sophie's world or of its existence. Despite his reputation, Howl is in reality an endearing, charming man who is intelligent and considerate, if somewhat self-appreciative and stubborn at times. He enjoys "slithering out" of uncomfortable situations, often in comical ways. 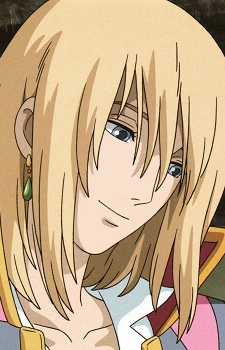 Howl is described as being tall and suave, fond of dyeing his hair and wearing impressive suits. However, he is described by Calcifer as "very vain for a plain man with mud-coloured hair" - Howl is not naturally handsome, but he has "charm", both literally and figuratively.